Between domestic financial institutions and foreign or joint venture ones in China, which ones do Chinese people give better assessment to? And what factors affect those comparative assessments? 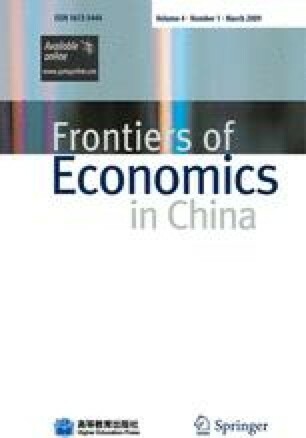 With a household survey in nine cities in China in 2006, we find that China’s domestic financial institutions are considered better than foreign or joint venture ones in terms of financial products, communication with investors, security and prudence, operation standardization and service attitudes. When taken into account the endogeneity of people’s trust on government regulation agencies, empirical results show that people’s more attention to returns or the more trust on government regulation agencies leads to their better assessments on domestic financial institutions than foreign or joint venture ones. The policy implications are: Chinese governments have to take measures to improve residents’ trust in governmental regulation and create a fair competition environment for domestic and foreign financial institutions in China. Domestic and foreign financial institutions make efforts to develop a higher rate-of-return and attractive financial products to service more customers.